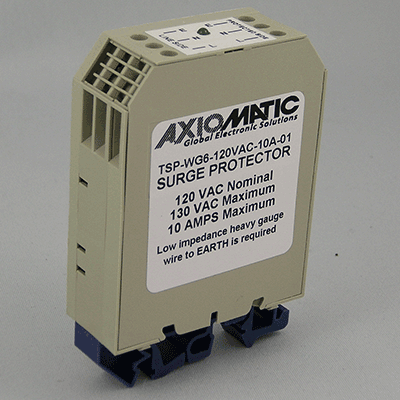 Axiomatic Surge Protectors provide protection against transient voltages and surges for all sensitive electronic equipment. 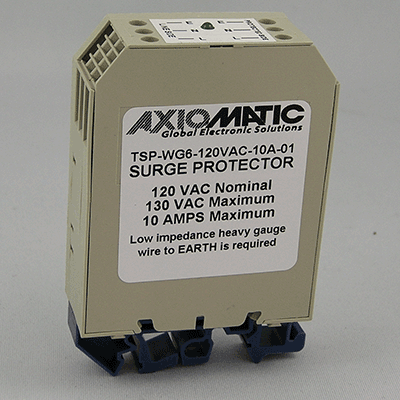 They handle large current surges and voltage spikes without wear and tear to the circuitry of the protector due to the hybrid design features that reflect surge energy and clamp with MOV suppression. All modules are designed for DIN rail mounting, are IP20 rated. The AC and DC models include a LED indicator to ensure continued protection and avoid unnecessary replacement costs.